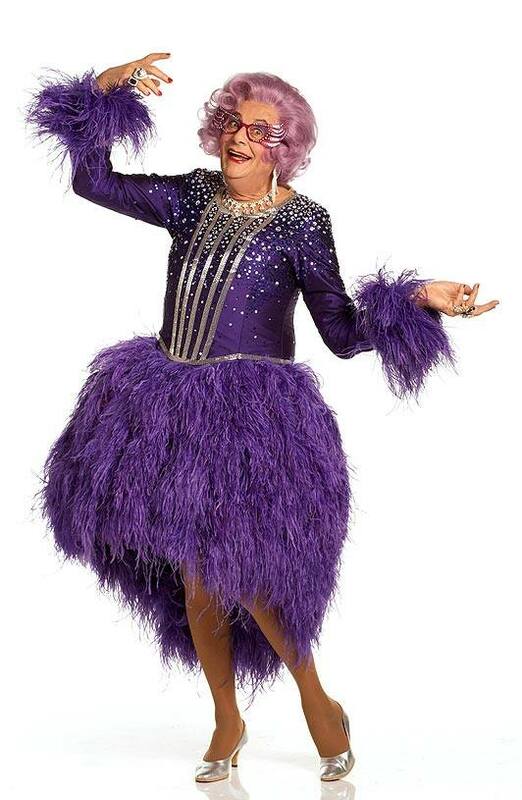 Booking Dame Edna Everage will go down a storm at your special event! We are a booking agent for Dame Edna Everage, and can arrange for her to entertain your guests. Probably the most popular and gifted woman in the world today, Dame Edna fulfils the roles of housewife, investigative journalist, social anthropologist, talk show host, swami, children’s book illustrator, spin doctor, Megastar, and Icon. With Olivia Newton-John, Kylie Minogue and Nicole Kidman, she is one of a remarkable succession of female stars to emerge from Australia. Television credits include the now legendary UK special, A Night on Mt. Edna, and two series of her own innovative chat show, “The Dame Edna Experience”, with special guests Cher, Robin Williams, Roseanne Barr, Sean Connery and Mel Gibson. Her books include Dame Edna’s Coffee Table Book, Dame Edna’s Bedside Companion and her seminal autobiography, My Gorgeous Life, which is currently being adapting for the stage and screen. 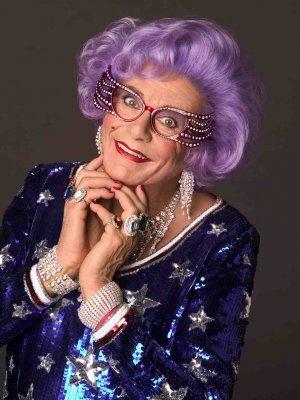 Possibly Jewish, Dame Edna is a widow, with three grown children. She spends her time visiting world leaders and jet-setting between her homes in Los Angeles, London, Sydney, Switzerland and Martha’s Vineyard. She is the Founder and Governor of Friends of the Prostate and the creator of The World Prostate Olympics. In 2009 Dame Edna Everage, along with ‘Sir Les Patterson’, went on a UK nationwide tour of Last Night Of The Poms. If you’re looking for a corporate entertainer or host who can dazzle your audience and charm your guests, look no further than Dame Edna Everage. Contraband is the UK’s top booking agent, with affable, experienced account managers who guarantee you the best deal possible. 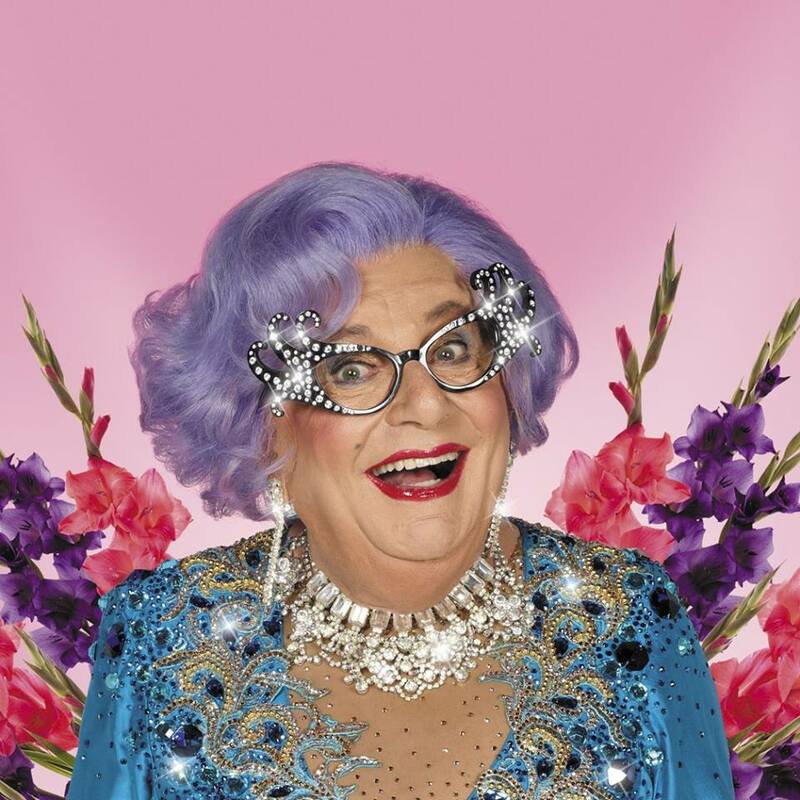 Contact us today if you would like to book Dame Edna Everage to be the headline of your event! 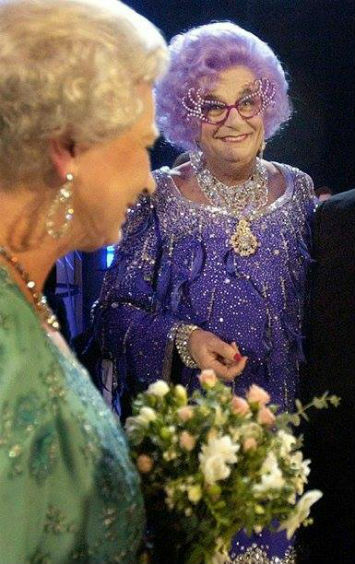 We as your booking agent are more than happy to help you create the most memorable moments with Dame Edna Everage.